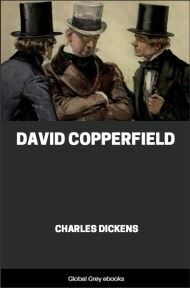 David Copperfield is the common name of the eighth novel by Charles Dickens. 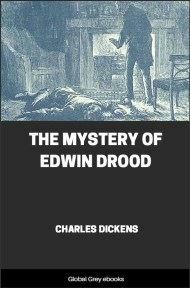 Its full title is The Personal History, Adventures, Experience and Observation of David Copperfield the Younger of Blunderstone Rookery (Which He Never Meant to Publish on Any Account). 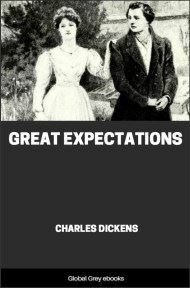 The story traces the life of David Copperfield from childhood to maturity. Like most of his works, it originally appeared in serial form during the two preceding years. 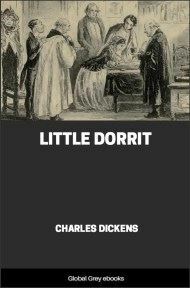 Many elements of the novel follow events in Dickens' own life, and it is probably the most autobiographical of his works. I was born at Blunderstone, in Suffolk, or 'there by', as they say in Scotland. I was a posthumous child. My father's eyes had closed upon the light of this world six months, when mine opened on it. There is something strange to me, even now, in the reflection that he never saw me; and something stranger yet in the shadowy remembrance that I have of my first childish associations with his white grave-stone in the churchyard, and of the indefinable compassion I used to feel for it lying out alone there in the dark night, when our little parlour was warm and bright with fire and candle, and the doors of our house were—almost cruelly, it seemed to me sometimes—bolted and locked against it. An aunt of my father's, and consequently a great-aunt of mine, of whom I shall have more to relate by and by, was the principal magnate of our family. Miss Trotwood, or Miss Betsey, as my poor mother always called her, when she sufficiently overcame her dread of this formidable personage to mention her at all (which was seldom), had been married to a husband younger than herself, who was very handsome, except in the sense of the homely adage, 'handsome is, that handsome does'—for he was strongly suspected of having beaten Miss Betsey, and even of having once, on a disputed question of supplies, made some hasty but determined arrangements to throw her out of a two pair of stairs' window. These evidences of an incompatibility of temper induced Miss Betsey to pay him off, and effect a separation by mutual consent. He went to India with his capital, and there, according to a wild legend in our family, he was once seen riding on an elephant, in company with a Baboon; but I think it must have been a Baboo—or a Begum. Anyhow, from India tidings of his death reached home, within ten years. 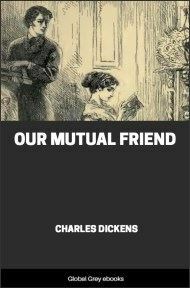 How they affected my aunt, nobody knew; for immediately upon the separation, she took her maiden name again, bought a cottage in a hamlet on the sea-coast a long way off, established herself there as a single woman with one servant, and was understood to live secluded, ever afterwards, in an inflexible retirement.